**Note THIS IS A MAN MADE STONE BUT STILL CARRIES PROPERTIES! "Blue Obsidian in particular has a wonderful, dreamy, expansive energy. Its a great stone to work with if you’re beginning to explore your own spiritual ability, or are even developing a long-term gift. 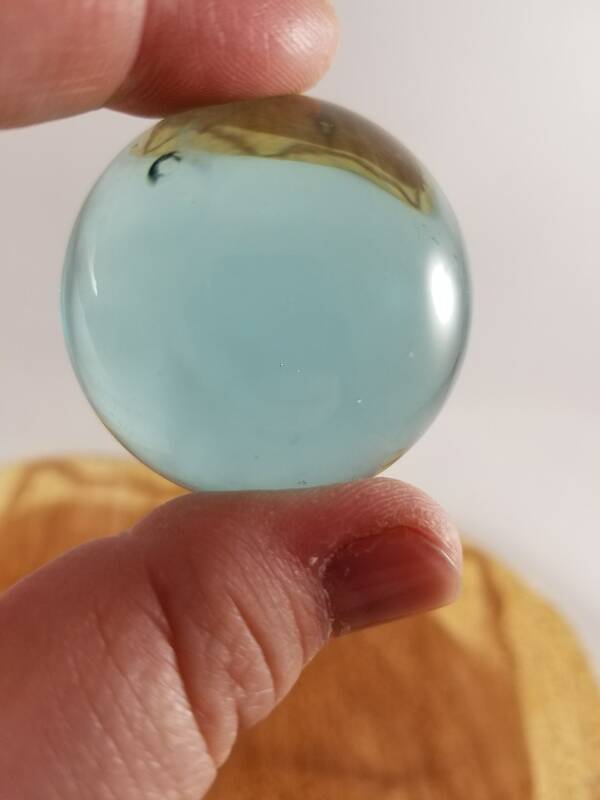 Blue Obsidian has a way of clearing the mind of mental clutter, slowing our thought processes down so we take one thing at a time and do it well (instead of 10 things at once and we’re all over the place!). It also aids communication, so we can clear our head, receive intuitive information and then clearly communicate. 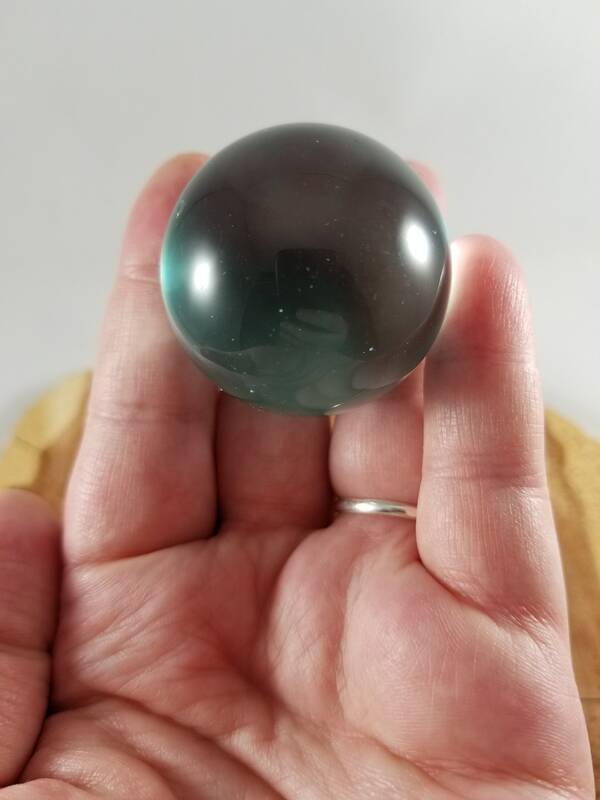 Blue Obsidian can be used in any spiritual pursuits such as tarot reading, scrying, astral travel, journeying etc. It is gentle and supportive rather than blasting us too fast or in a way we may feel we’re not in control. 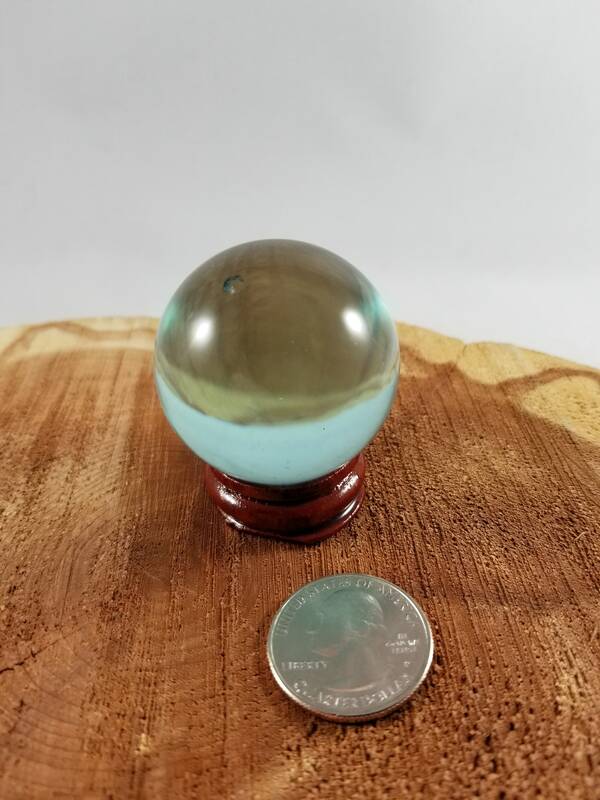 "On a physical level, Blue Obsidian works really well on the circulatory system, with our glands (particularly prostate) and with mental health conditions. It is a lovely, soothing, dreamy, gentle, but effective tool. 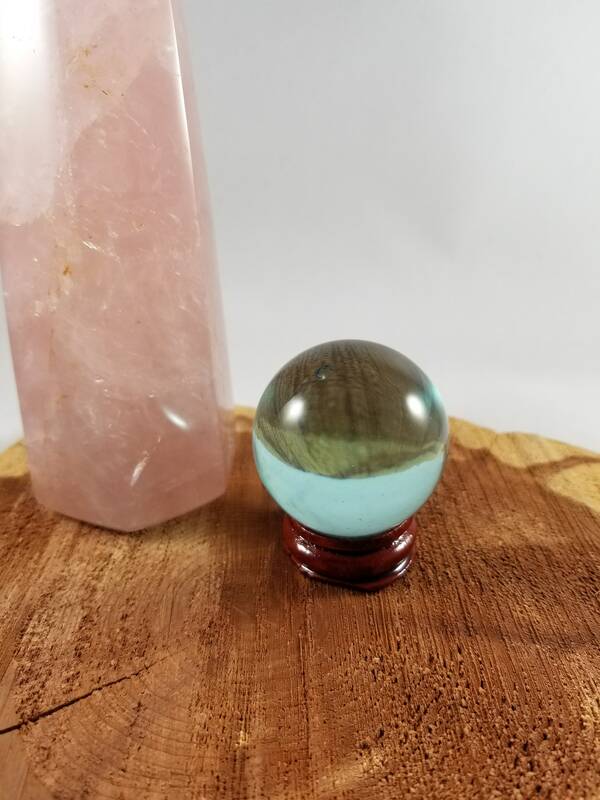 Blue Obsidian can be held as a tumblestone, used in the shape of a palm or thumbstone, used as a wand in crystal healing work (particularly effective!) and I’ve seen some fantastic crystal skulls that clearly resonate with a lot of people."